Shutter Speed is quite an easy term, but a little misleading. There is a shutter in your camera that opens to let the light into your camera and onto your sensor. After a certain time it is closing again. Finishing the process of taking your image. To understand what happens if you take an image, go into a darker room and take a picture. Listen closely. We hear two clicks: first click shutter opens – second click shutter closes. To see what just happened in your camera, here is a draft of the shutter: first click, shutter curtain opens – second click – shutter curtain closes. To even better understand this component of exposure, lets think of Shutter Speed as opening time. How long is the shutter opened to let light in. 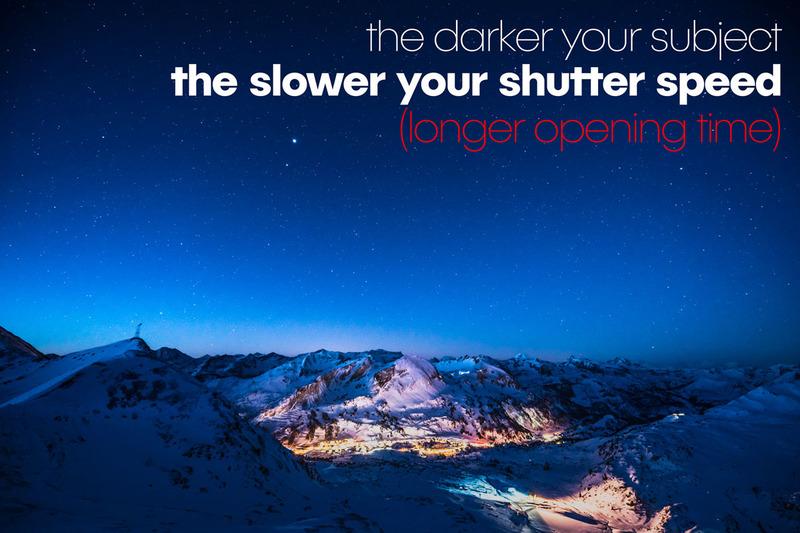 How does the opening time affect your image? 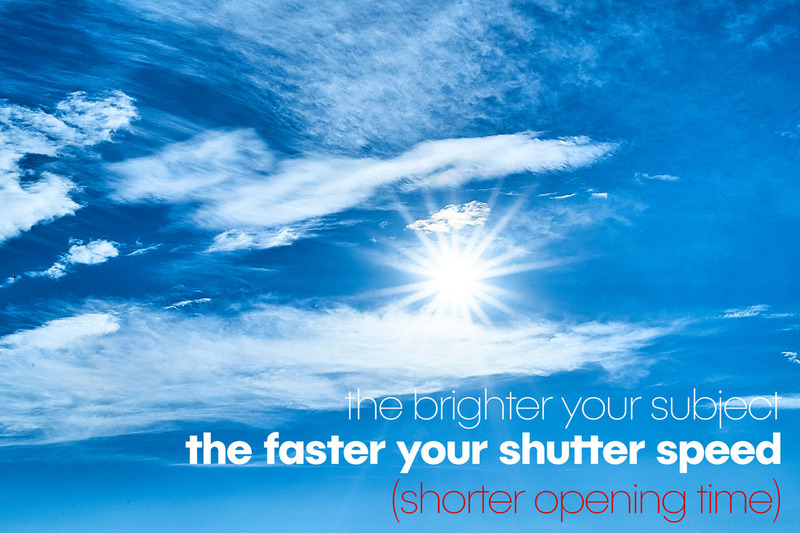 The longer the shutter is open, the brighter your image. Lets consider we are taking a picture of the sun. Just to give you an idea: the image we took of the sun was shot at 1/1000 of a second. it is 1/1000 of a second. But what if we want to photograph a rather dark scene? All we need is a longer opening time. There is less light available within a given time. So if we extend the time we will get more light and with it a brighter image. It was shot with a shutter speed of 30 seconds – don´t confuse that again with 1/30 of a second. It was really dark so we needed a loooooooong Shutter Speed. The brighter your subject or scene, the faster your shutter speed has to be (and therefore the shorter the opening time). The longer you light the same scene, the brighter your images get. Together with the Aperture from our previous movie, you already know two of the three factors of Exposure. Its time for the third. Next up is ISO.